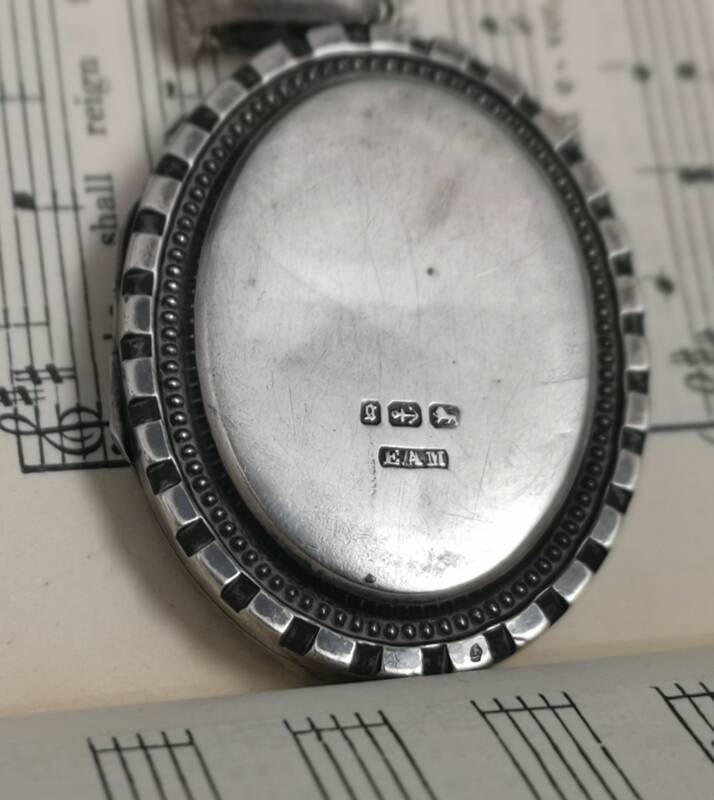 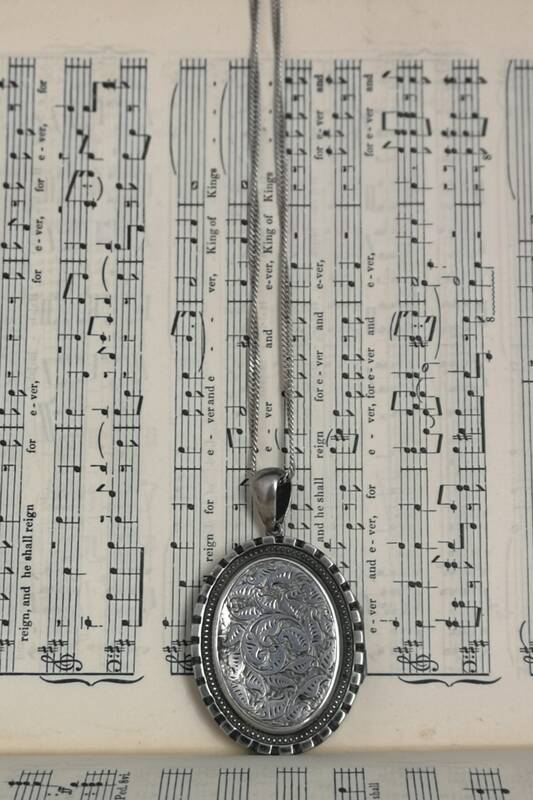 A gorgeous chunky Victorian aesthetic era sterling silver locket and later silver chain. 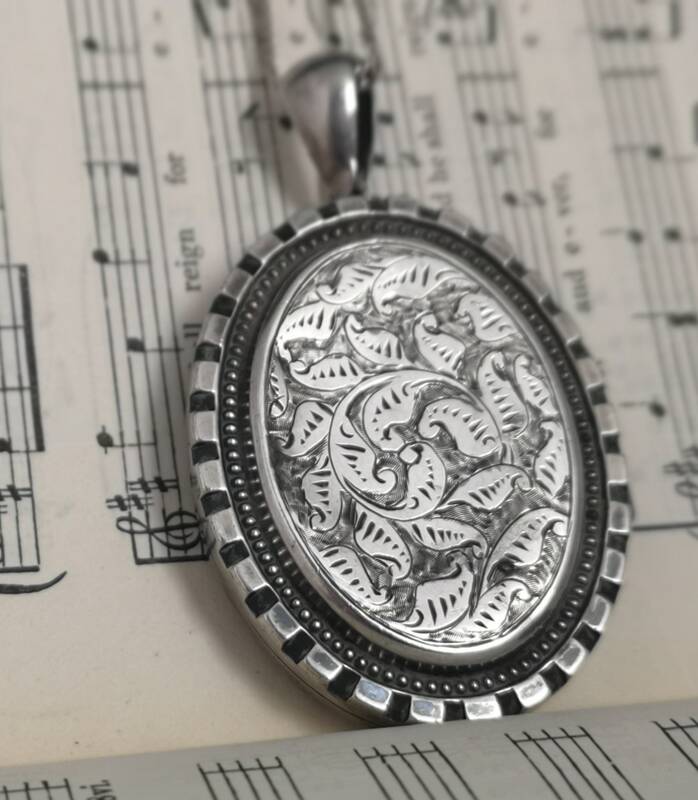 The locket is large and has an all over engraving to the front of fern type leaves and further beading and gadrooned border. 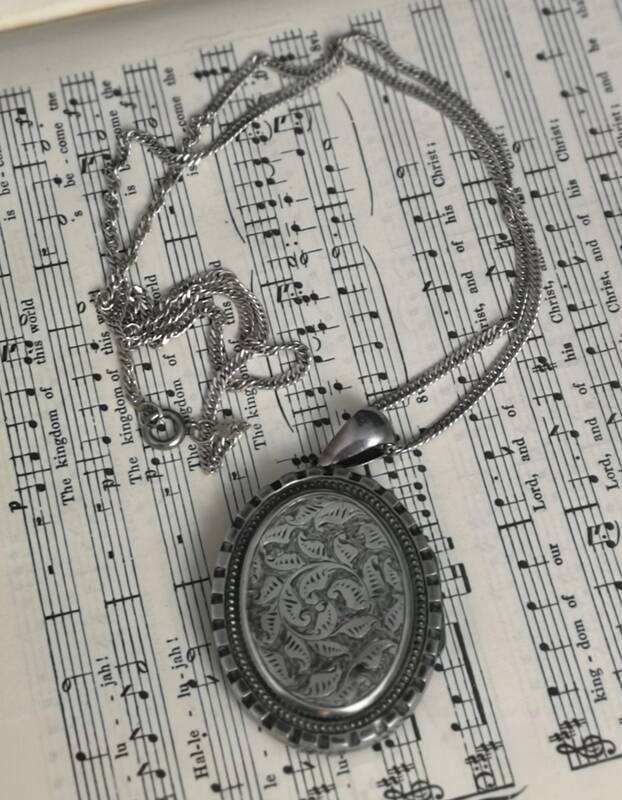 It is a double sided locket so can hold two pictures. 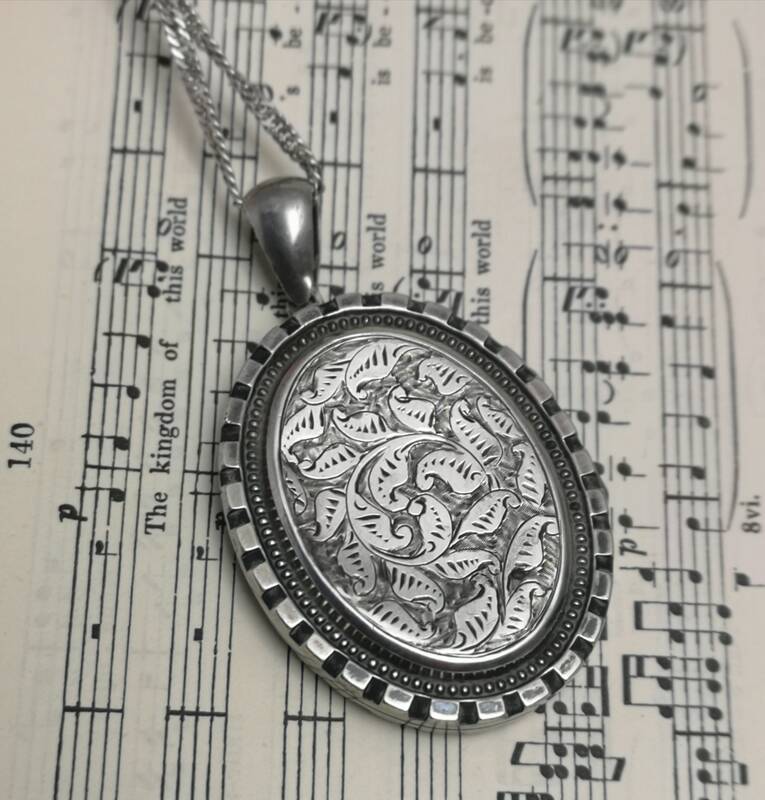 It is fully hallmarked to the reverse of the locket for sterling silver, Birmingham, 1881, maker Edwin Alfred Marsh. 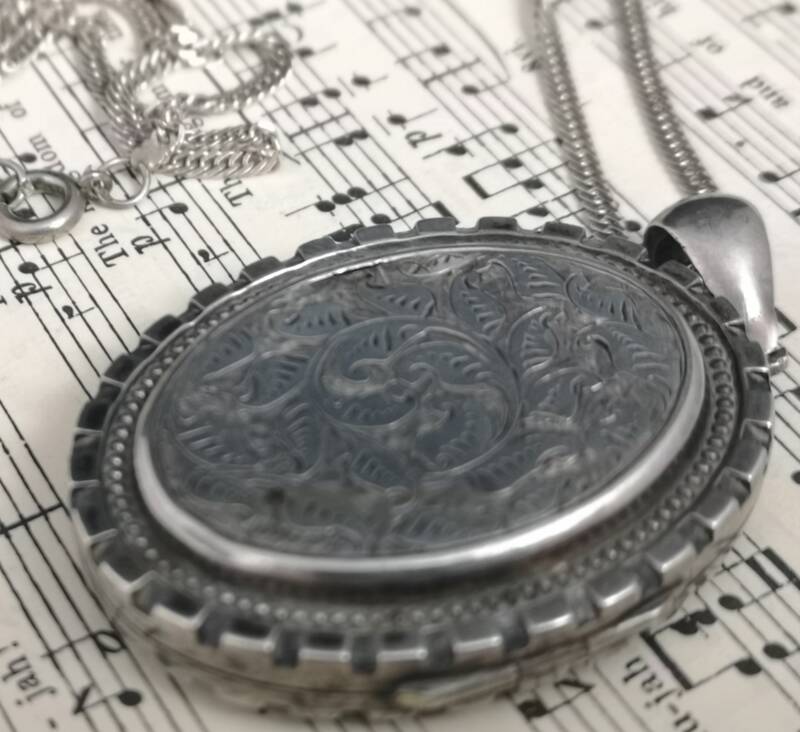 Internally has the lion passant and date letter, bale stamped with the lion passant. 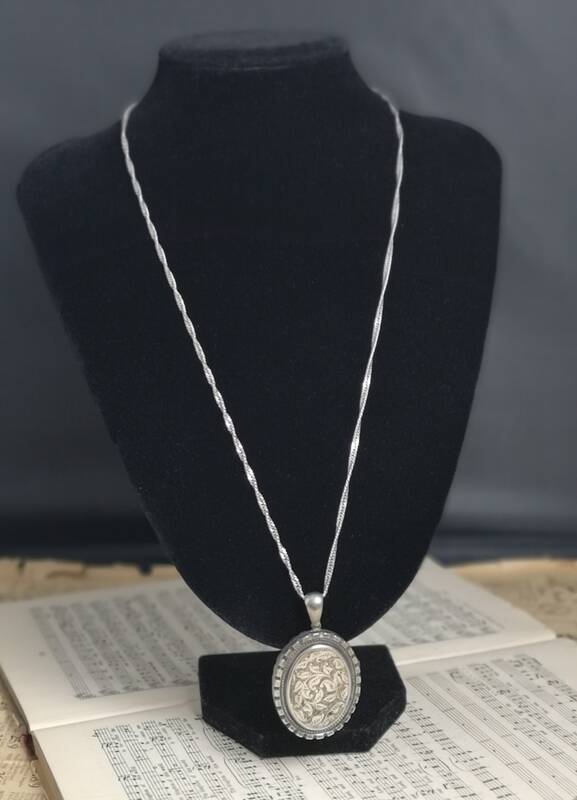 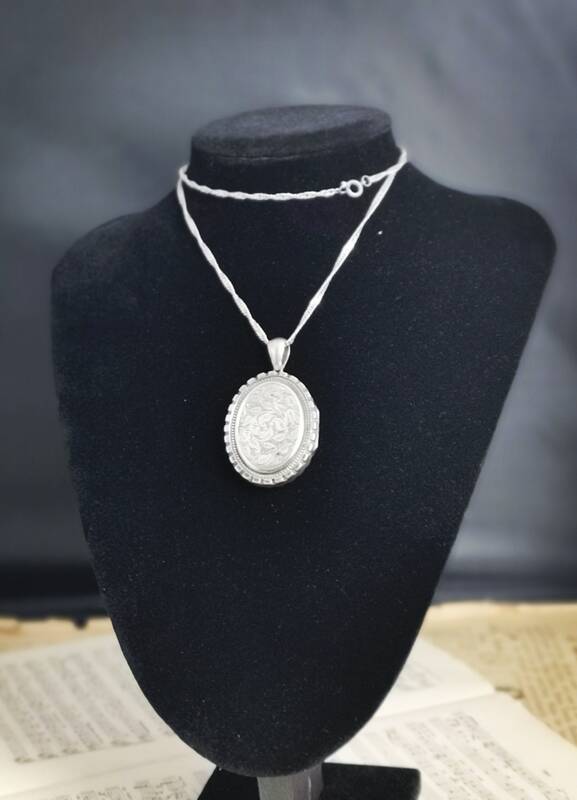 The locket is approx 1.5" width, 1¾" height, 2¼" height with the bale, the chain is unmarked (tests as 925) sterling silver later addition and is 24" length. 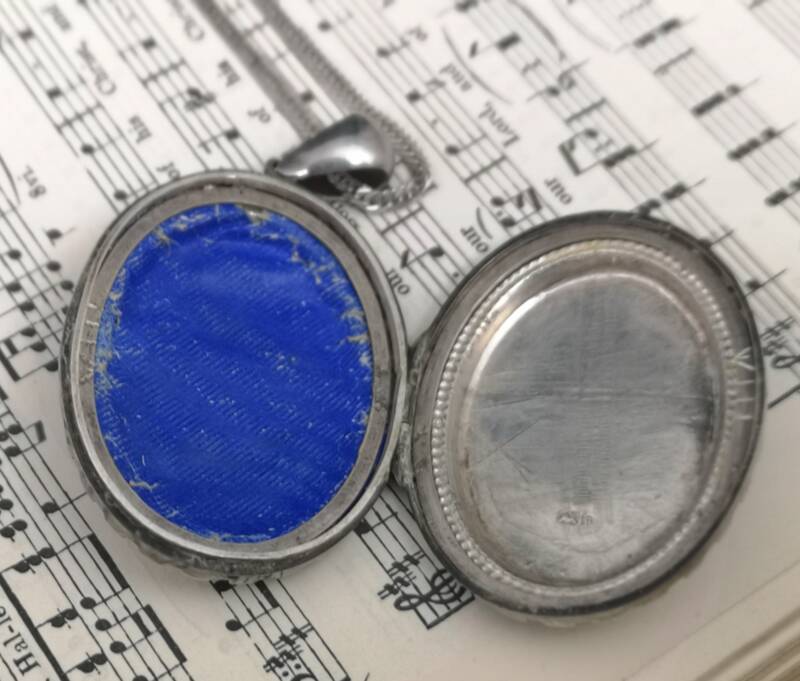 We have not polished this locket so it retains much of its natural aged patina but it can be polished before dispatch upon buyer request. 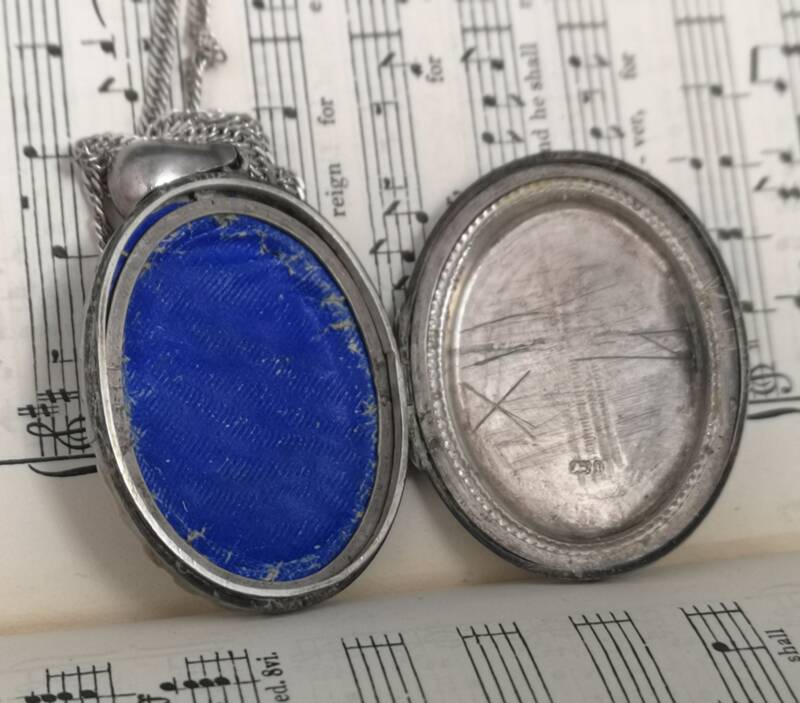 Good condition overall inner frame not fixed, no glass covers inside, tiny dent in the front, see photos.